As a cat owner, it’s only natural to want the very best for them! Whether it’s treats, toys or food, NOTHING IS TOO GOOD for your feline. And they are very good at letting you know what they like and what they don’t. Some people believe that purchasing an automatic cat feeder somehow means they’re not being a good cat owner – that they should be catering to their cat night and day (and LET'S FACE IT...cat’s like it that way). However, there are many benefits of having an automatic system, particularly if you’re away all day, or you go away for a few days at a time. Have you ever been woken up by your cat at 5:00 a.m. because she’s hungry and she wants you to fill her food dish? Cats don’t worry themselves over such trivial things as their human’s sleep. When they want food, they’ll make sure you know it. 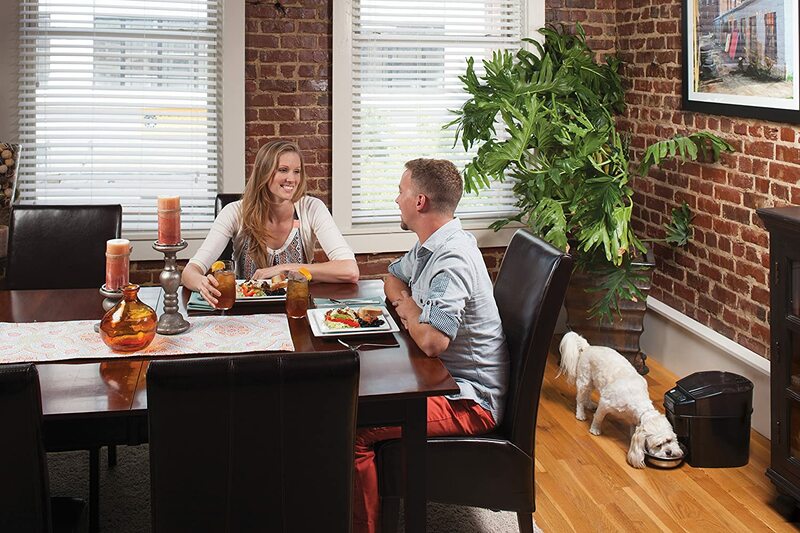 Using an automatic feeder allows you to get some much-needed rest! Unlike dogs, cats don’t need constant attention, so if you work for much of the day, or go away for the weekend, your cat will not miss you, (she’ll probably just sleep the time away anyway). This will give you peace of mind knowing your cat is well-fed and healthy even when you’re away. If your cat is a little on the heavy side (think Garfield!) then having an automatic feeder will help with portion control. Even slimmer cats will eat too much if it’s up for the taking, and this could lead to weight gain as they get older. To keep your cat as healthy as possible, it’s important to maintain their weight. Cats are notorious for eating everything in their dish all at once, and grazing throughout the day. Controlling their food intake will help keep their waistline from expanding so wide that they can’t jump on the bed – because admit it, you love having them rub their heads against yours at 3 a.m.! Automatic feeders are perfect if you want to put your cat on a feeding schedule. You can set the feeder to dispense food at regular intervals; for example, 5:00 a.m., 9:00 a.m., 12:00 p.m., 3:00 p.m. 5:00 p.m. and 8:00 p.m. Having them eat just a few nibbles every few hours can keep them healthier than if they ate just once or twice a day. If you have more than one cat or a combination of cats and dogs, they could take every food dish as a free-for-all. Some feeders come with a feature that CALLS EACH PET BY NAME! Imagine how special your cat will feel when she is greeted for a feast that is reserved for her alone. This is also an important feature if you have a pet that gets special medicated or prescription food. If your feline is as fussy as most are, they will want a combination of dry and wet food. 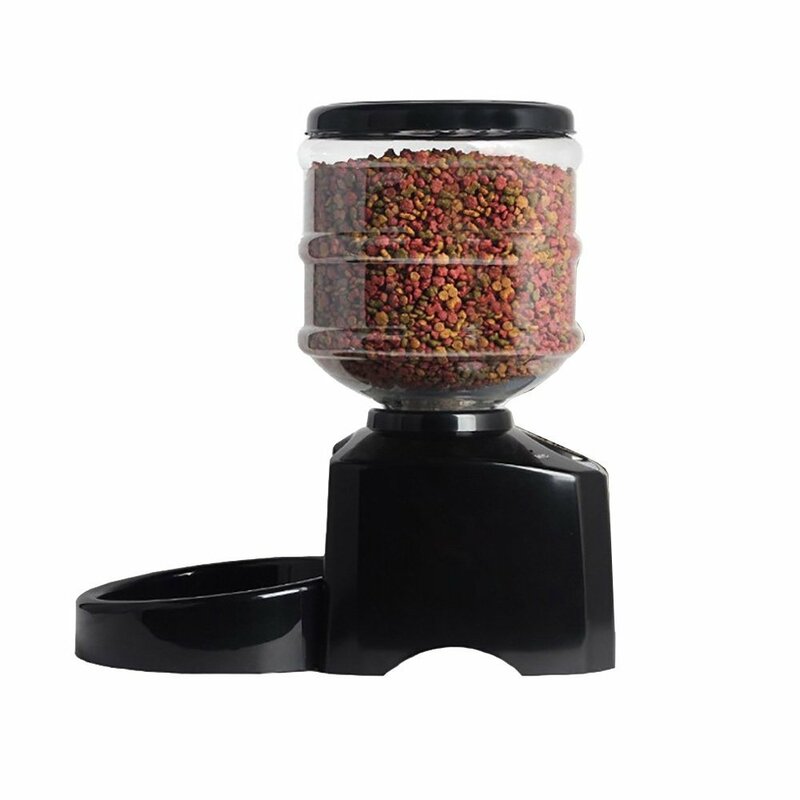 Look for a feeder that accommodates a variety of food types. Otherwise, your cat may end up going on a hunger strike until you get back. Make sure that your feeder features enough scheduled feeding times. Some are equipped with only two, which is fine if you’re just gone throughout the day; but if you travel often and are gone for more than a day or two, you’ll need feeders that can be scheduled for extended periods of time. If you have more than one cat, or a cat and a dog, you don’t want one of your pets eating all of the available food. An automatic feeder is ‘smart’ enough that it can differentiate between your pets, and can even call them by name! Some feeders can be synced up with your smartphone, so you can see and hear your cat from wherever you are. You can also schedule feedings with the App which activates the feeding mechanism with the push of a button! This is the perfect solution for those who want total control over what their cat eats and when, and is also ideal if you have others who will be looking after your cat while you’re away. If your cat is a bit chubby and could use some exercise, choose an interactive feeder that encourages play and exercise. Even the most dignified cat won’t be able to resist something to chase or swat at! The Feed and Go Automatic Feeder offers several benefits and is unique in that it can be controlled via the internet. 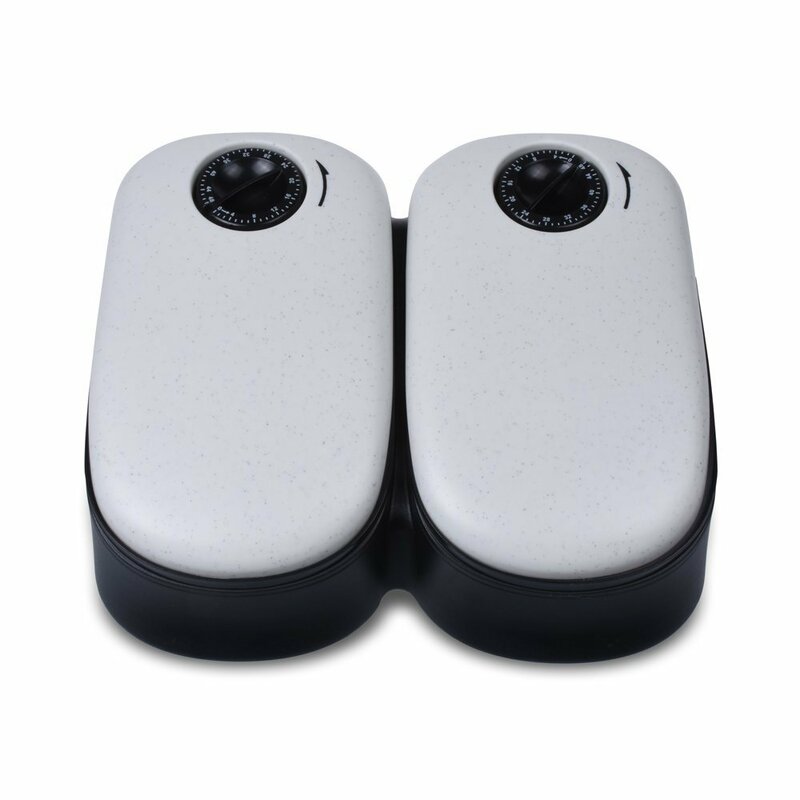 It comes with an integrated webcam and can be hooked up and synced with your Smart Phone in under a minute. It is the only feeder that can be used with prescription or special dietary foods. It is Wi-Fi enabled and holds 6 one-cup servings. This is an ideal feeder if you have more than one pet, or are going to be away for the weekend. If I’d had one of these when I went away a couple of weeks ago, I wouldn’t have had to beg my mom to come over twice a day from the other end of town! This feeder uses a conveyor belt to dispense food and is ideal for most dry and moist foods. With storage for 12 meals, this makes it great if you travel a lot for business or pleasure. The other nice thing about this feeder is the slow-feed option. It dispenses meals over a 15-minute period to prevent gulping and vomiting. The stainless steel bowl is easy to clean, and the feeder is easy to use. The power adapter is available for separate purchase; otherwise it uses 4 ‘D’ batteries. If the batteries die while you’re away, this could cause the feeder not to work. I would consider paying the extra money for an adapter. What makes this feeder unique that is comes with an ice pack to keep food cold. 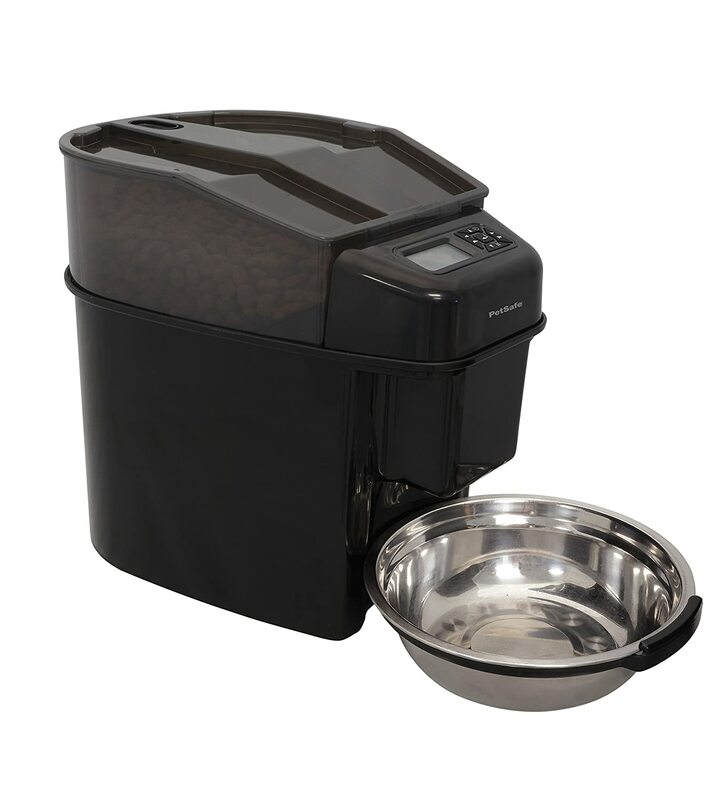 With all automatic feeders, this is a great way to train your cat (or dog) to go on a feeding schedule. After a few days, you’ll find your pet goes to the feeder according to the schedule you’ve set. This is an aesthetically pleasing design, in white and black, although that won’t matter a lick to your cat! Whether you’re away all day long, or you just want to put your cat on a regular feeding schedule, without being bothered at 5:00 a.m., this feeder will do the job nicely. Comes with an ice pack to keep food fresher, longer. This feeder does not have a clock per se, it’s set on a timer, much like an egg timer. You’ll hear the tick, tick, tick of the timer, which may take some getting used to. These gravity feeders resemble a mini water bottle and will keep your pet nourished throughout the day. It’s an ideal solution for those with more than one pet. The bottles are easy to clean and also come in a tan color if you want to match your overall home décor. Ideal if you go away for a few days at a time and want your cat to have free reign over your house and food dish – there will always be nibbles to munch on! 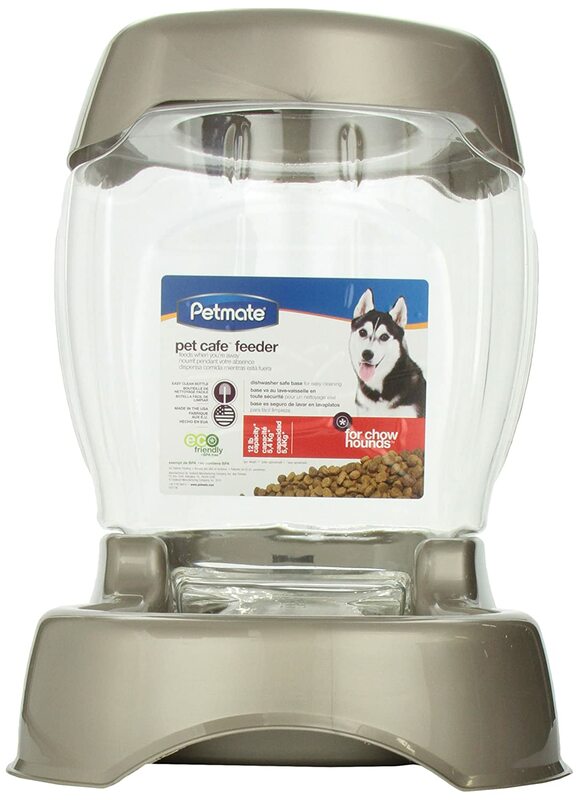 This is similar in design to the Petmate Feeder, but with a few upgrades. It’s equipped with an LCD display screen, making it easy to operate. It also comes with voice recording, so you can record your own voice; this can make your pet feel more comfortable, thinking you’re home even if you’re not. 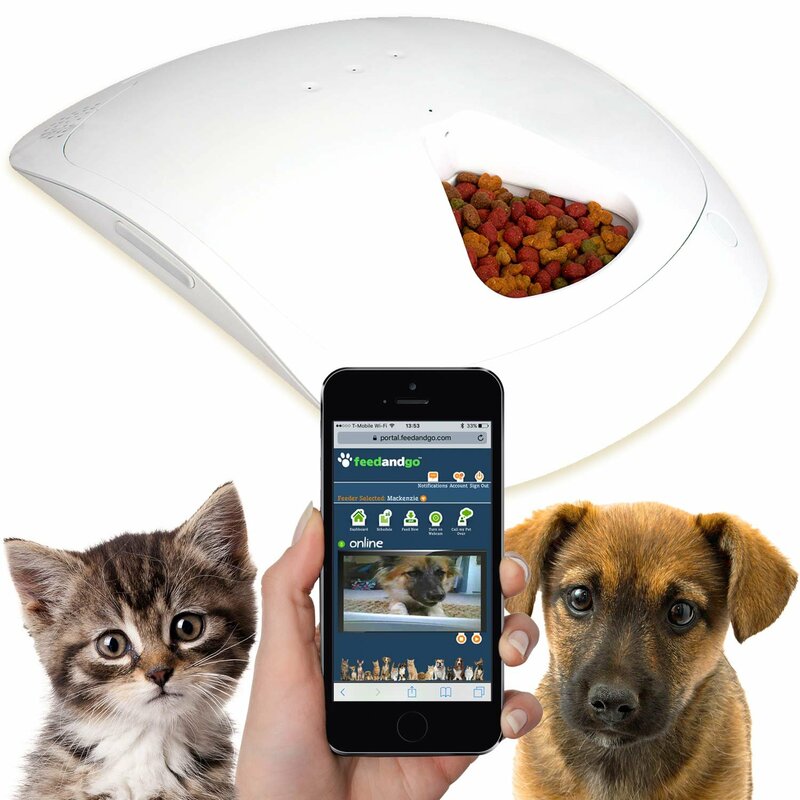 It is programmable, so you can schedule your cat’s feeding times, up to three times a day. So the clear winner here? 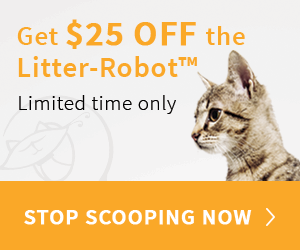 Personally, I really like the PetSafe Healthy﻿ automatic feeder. With two cats to feed, and me working all day long, it’s a great way to know that my cats are taken care of, and are fed at scheduled times. All in all, this is one that suits me and my needs, keeps my felines happy and gives me peace of mind.